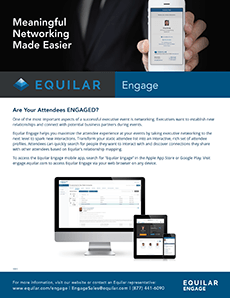 Event hosts can immediately access the Basic model of Engage for free directly from the Equilar website. Create Your Free Event Now! 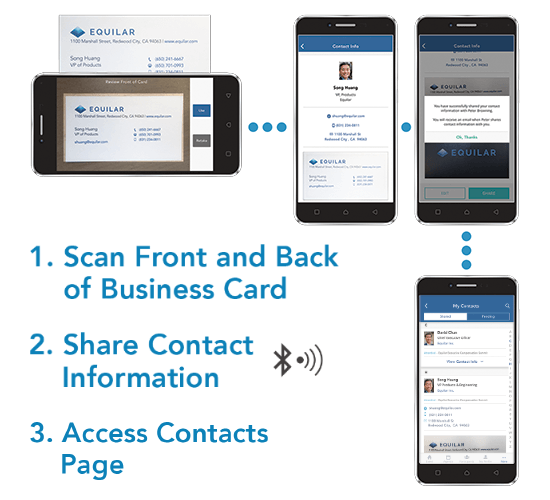 For information on pricing and additional features on the Premium option, please call (877) 441-6090 or email info@equilar.com. 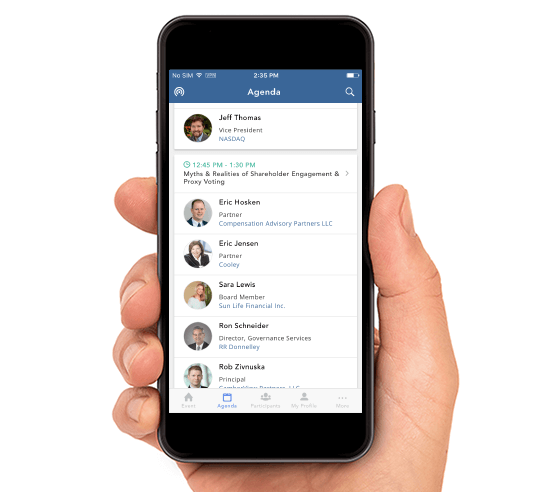 * In-network searches allow event hosts to search across all of their events to identify attendee connections – this is a great tool for speaker and attendee recruitment for future events. 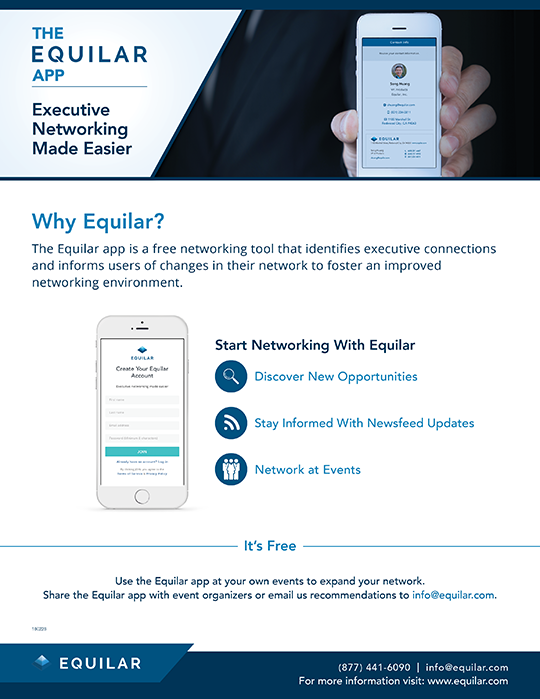 Out-of-network searches take the search a step further, allowing event hosts to leverage the Equilar complete leadership database of more than records – view who your attendees and speakers are connected to outside of your events to establish new business development and/or speaker and attendee recruitment opportunities. 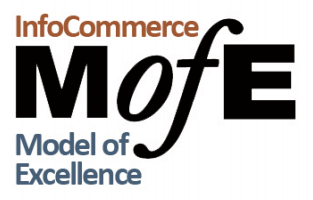 * * Premium analytics provide more in-depth data on attendee and company profiles, attendee engagement, and marketing effectiveness.